It was now time that I built a proper outdoor run and shelter (house) for our pet pigs. 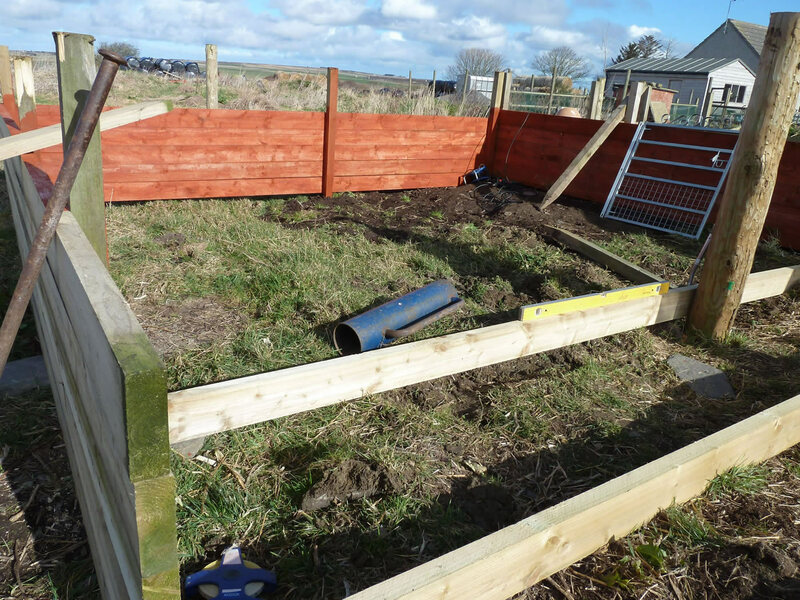 The timber used had been previously purchased to build raised vegetable beds as I had this desire to become self-sufficient. 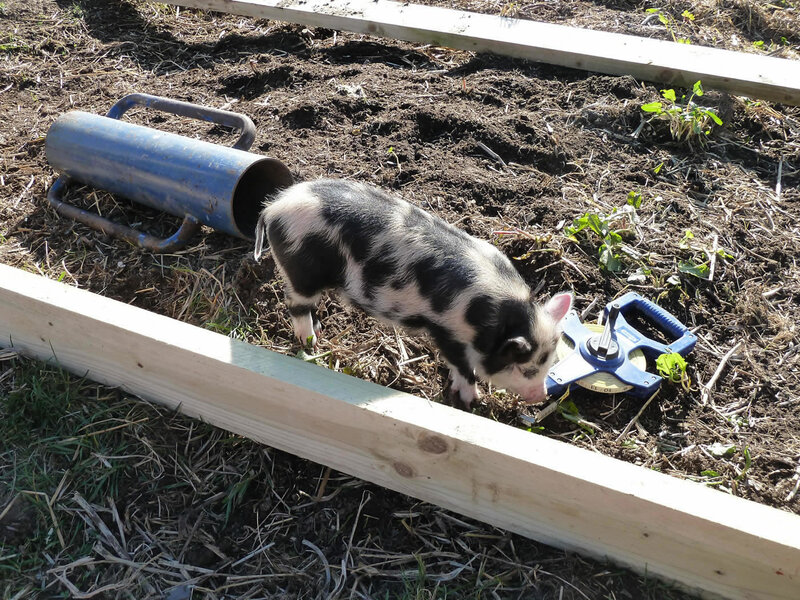 As we had decided to look after two kunekune pigs, as pets, we had to plan and build a run that would be big enough for two small pigs that would soon grow big (they were not micro-pigs in any way). 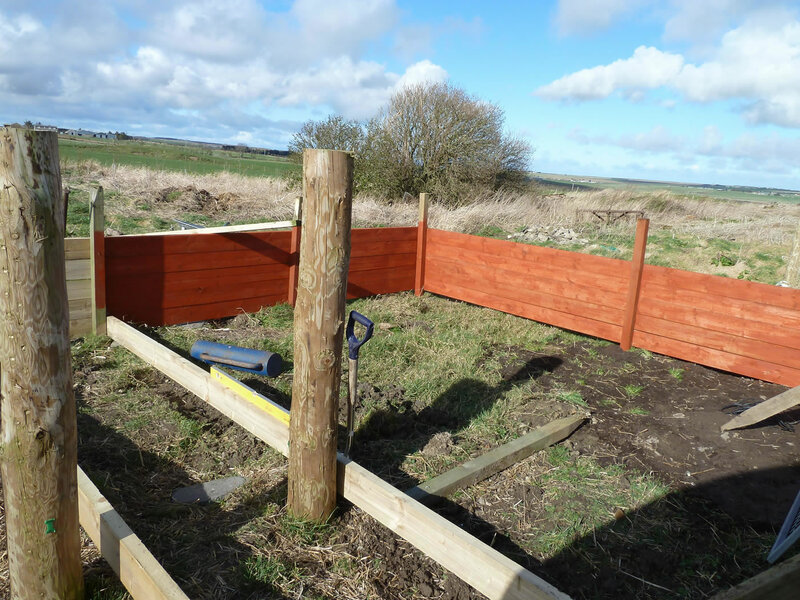 The idea of the timber wall was simply to keep them in an enclosed space when they were small and give them a sheltered area next to their house where they would be fed when they matured. It was also an area where we could restrict their movements when they needed veterinary treatments. So was born the small enclosed, fenced and secure pig shelter and house area. Geordie wanted to make sure that I was doing everything to plan - his plan that is. Pigs are very clever and curious animals and love exploring and investigating new areas. Another view of the new outdoor run and area for the pig house. 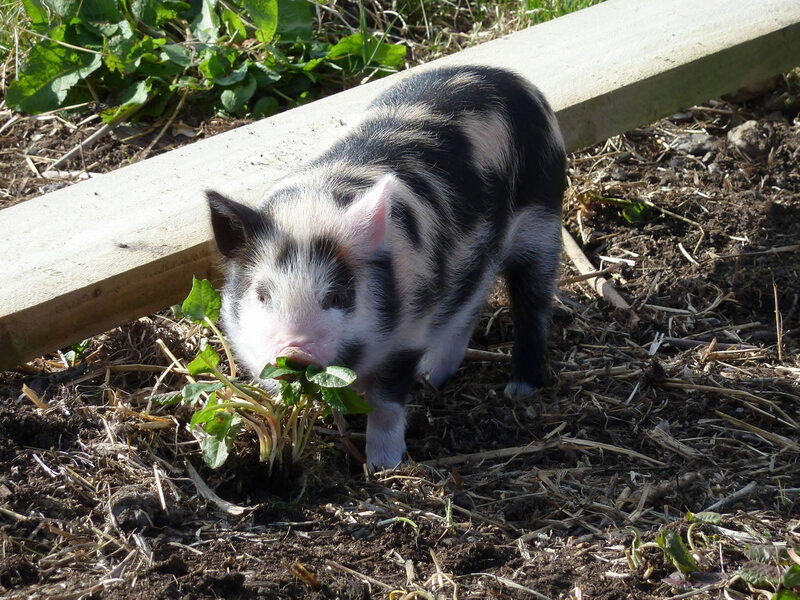 Shop online with Amazon for Pot Bellied Pig food, books and more, just use search.